This is an opportunity to grab. Do you have a master’s degree? 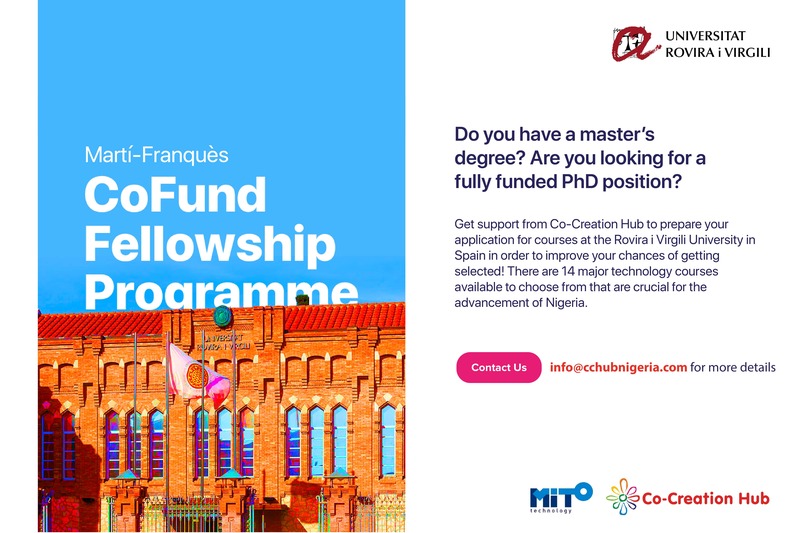 Are you looking for a fully funded PhD position? Get support from CcHUB to prepare your application for courses at the Rovira i Virgili University in Spain. Check out the 14 major technology courses available. Contact us at info@cchubnigeria.com for more information.